There are plenty of ways summer travel can cut into our much-needed sleep. Many of us miss the comfort of our own beds. Some of us are usually out late and up the very first thing to make the most of the travel experience. But the biggest and most dreaded factor that disrupts our sleep patterns is also the hardest to overcome: jet lag. It keeps us up when we want to be down, and down when we want to be up. And the worst part of it is, the farther we travel, the worse it is. So that once in a lifetime trip to Paris is too often spent wrestling with your pillow by night and taking much too long naps by day. Okay, so maybe traveling isn’t about catching up on Z’s, but seeing and doing as much as we can. But how much can we make the most of our trips, really, when we’re stumbling about like zombies all day? Most simply defined by WebMD, jet lag is a temporary sleeping disorder. More specifically, it’s a circadian rhythm sleep disorder, with circadian referring to any of the regular processes that happen within our body over the course of 24 hours. Because the usual timing of daytime and nightfall are disrupted, the cues they send to our body are disrupted as well. Your body’s internal ‘clock’ is essentially thrown out of whack, and even when you’re tired and in need of sleep, your body may simply think it’s not time to go down yet. It’s actually a pretty interesting phenomenon, and perhaps one you may get to learn more about the next time your jet lagged. But for now, what we really want to know is not what jet lag is, but how it can be stopped. The bad news is jet lag can’t be stopped entirely. But there are ways to mitigate its effects. First, try conditioning the body to operate in your new time zone a few days before you actually depart. If your destination is nine hours ahead, try getting to sleep an hour or two earlier a few nights before your flight. If you can, tack an extra day or two onto your trip to give you more time to adapt. Melatonin works for some, but not guaranteed. And avoid anything that might disrupt your sleep even further, such as caffeine and alcohol. For well-known travel writer Rick Steves, it helps to set his watch to destination time while on the plane. We suggest even trying that before you leave! 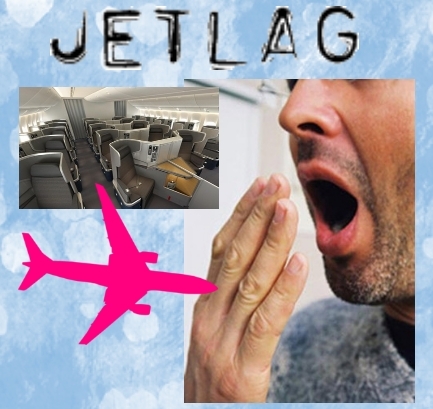 If taking these relatively minor steps doesn’t alleviate your jet lag symptoms any, consider seeing a sleep specialist who can help you experiment with more advanced methods, such as light therapy or prescribing you medication. Whatever avenue you take, there are plenty of options to choose from. Explore and experiment. It will help you make even more great memories of your big trip to remember forever.